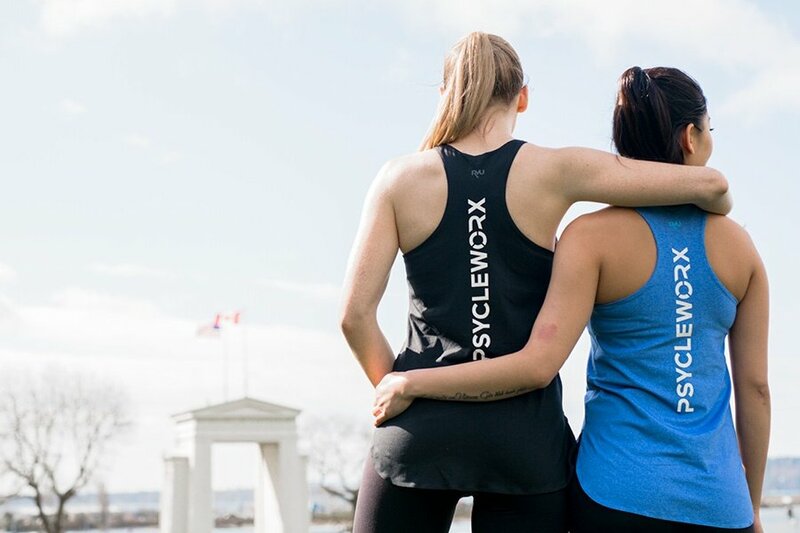 On June 2nd, 100% of proceeds will go to Ride Don't Hide in support of the Canadian Mental Health Association. Ride Don’t Hide is a community bike ride hosted by the Canadian Mental Health Association, with the goal to raise awareness and help break the stigma surrounding mental health while raising essential funds to support mental health programs. CMHA rides will be hosted in five provinces, in 35 communities, with the aim to engage over 8,000 participants and raise $1,500,000. I ride for my mother. I ride for my friend. I ride for mental health. Join a Psycleworx class on June 2nd, 2017 to show that you care about mental health, and to help our community get the best possible care and support.